Criterion has taken some deserved flak over the last few years for its catalog's heavy focus on Western European and American filmmakers. They've endeavored to expand their vision over the last couple years with more directors from countries other than France and the United States. I'm particularly happy to see them embracing the work of Romanian Cristian Mungiu, whose "Graduation" and "Beyond the Hills" were recently inducted into the most elite Blu-ray/DVD club in the world. Now they get to his breakthrough (and still best) film, the 2007 winner of the Palme d'Or. With new interviews and a new transfer, the time is right to reappraise one of the most acclaimed works of the '00s. Way back in September 2018, it seemed almost certain that we would get a repeat of the 2016 race for major awards wit "La La Land" and "Moonlight." The directors of both films were returning with their anticipated follow-ups and audiences in places like Venice and Toronto were going crazy for both "If Beale Street Could Talk" and "First Man." Five months later, neither director nor picture landed Oscar nods, although it almost feels like a positive for both. 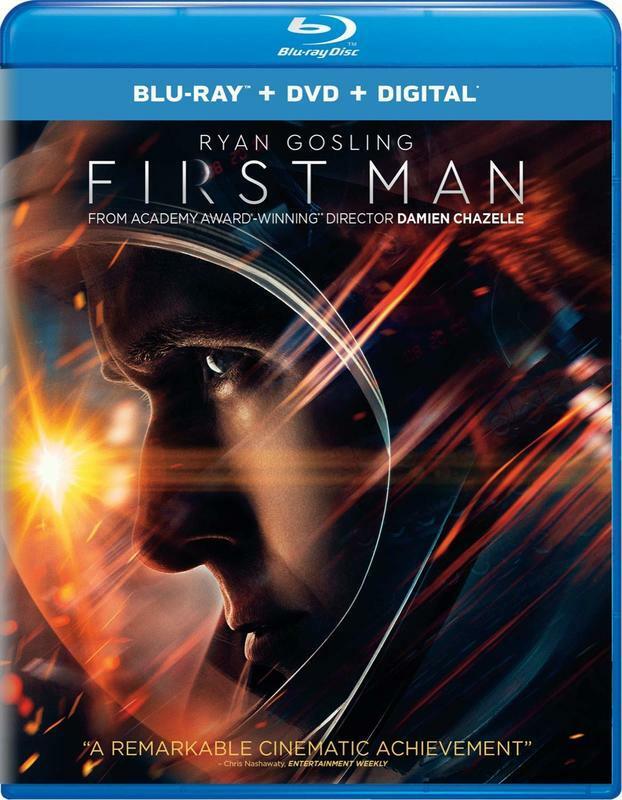 Now history will fully regard "First Man" as an underrated drama, a movie that deftly conveys the true danger and heroism of the space race with amazing technical elements and tight, confident direction. The film looks incredible at home, and sounds even better. A decade or so, people will be surprised it didn't win multiple Oscars, much less get nominated. I'll never forget the buzz in the room at the World Premiere of "Halloween" back in September. I'll also never forget that sinking feeling in my stomach, relatively early, when I realized the film just doesn't work. 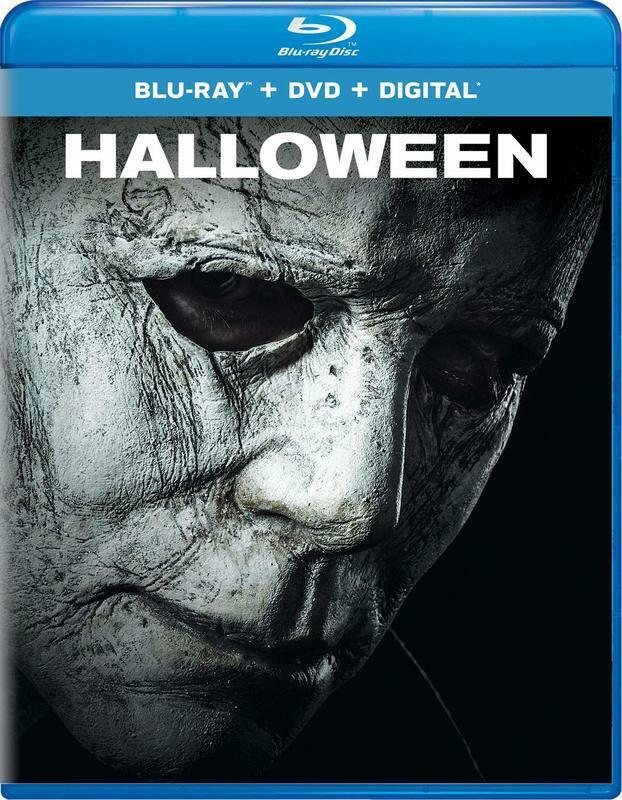 Yes, I'm in the minority here, and I love that people are taking to the story of Michael Myers again (also Jamie Lee Curtis rules) but this is a case of hype and marketing leading viewers to see something that just isn't there. Actually it's more the power of nostalgia, like when you hear a new album from a band you loved when you were a kid, refusing to realize that they've lost a beat and don't write songs like they used to. Again, I'm happy "Halloween" was a hit. I just wish it was a better movie. 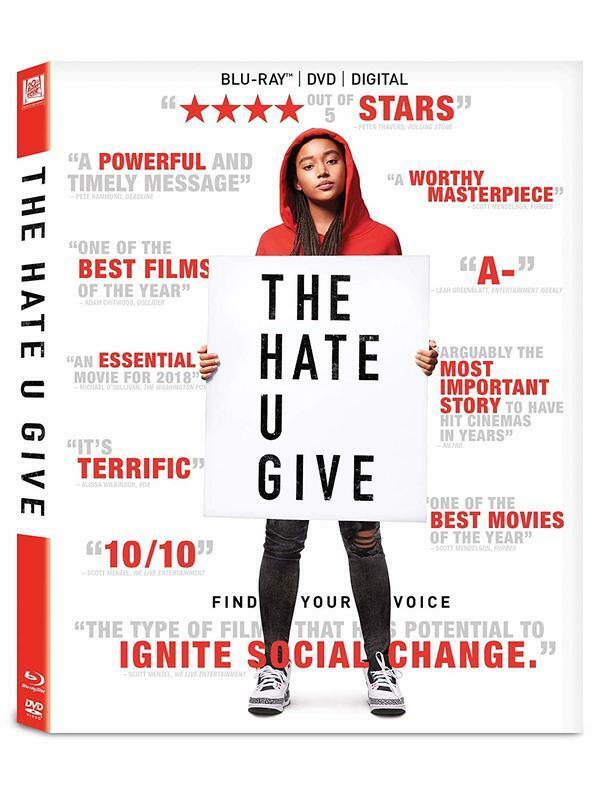 George Tillman Jr.'s adaptation of the hit novel works because of how much the director trusts his cast, particularly Amandla Stenberg and Russell Hornsby, to overcome the inherent cliches in the narrative. Tillman is careful to make his film both incredibly timely and yet also embedded with themes of inequity and protest that reflect the history of injustice and the civil rights movement. And yet, most of all, this is a story about people. Tillman recognizes that if we come to believe in and care for the characters than the messages will come from them, organically and far more powerfully. This is a movie that should have made more money and received more critical attention. It certainly will on DVD. The Criterion choices from the historic career of Alfred Hitchcock are always interesting. 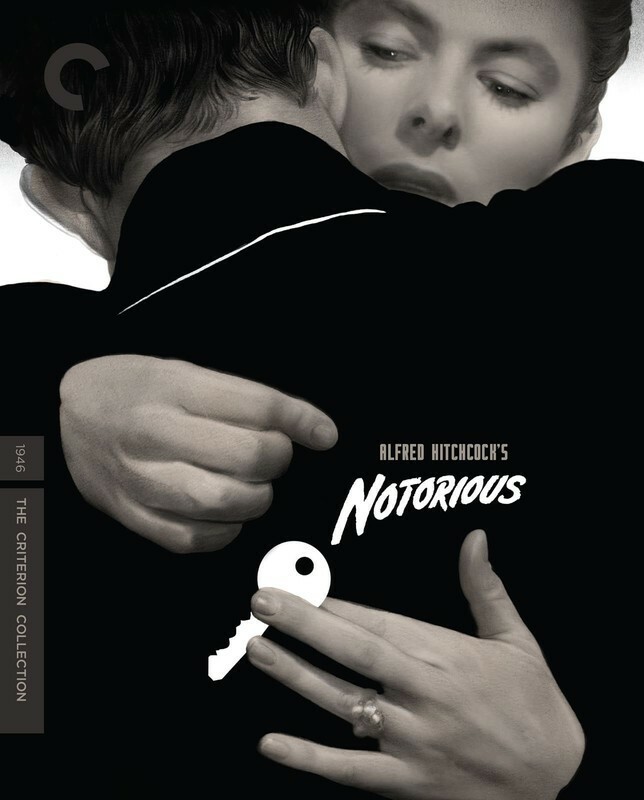 Probably at least in part due to ownership, Criterion hasn't been releasing the "hits" like "Vertigo," "Psycho," or "The Birds," bringing home some of what could be called the less-popular Hitch films like "The 39 Steps," "The Lady Vanishes," and this gorgeous 4K restoration of the incredible "Notorious." Don't get me wrong. "Notorious" has its diehard fans, but it's just not on cable as much as, say, "Rear Window." And so it's nice to see what could be called underrated Hitch being given the lavish, Criterion treatment. Like so much Hitchcock, "Notorious" is a film that gets better with each viewing. Well, this is a weird one. So much of the success of "Deadpool" and "Deadpool 2" has been built around the fact that it is the only major R-rated superhero franchise. So what does Fox do? Release a PG-13 version! At least you have to give them some points for creativity, as they didn't just release a censored version but shot some new footage with Fred Savage that spoofs "The Princess Bride." Still, the foul mouth and disturbing references are part of the charm of Wade Wilson, and so a PG-13 version of him feels inherently flawed. 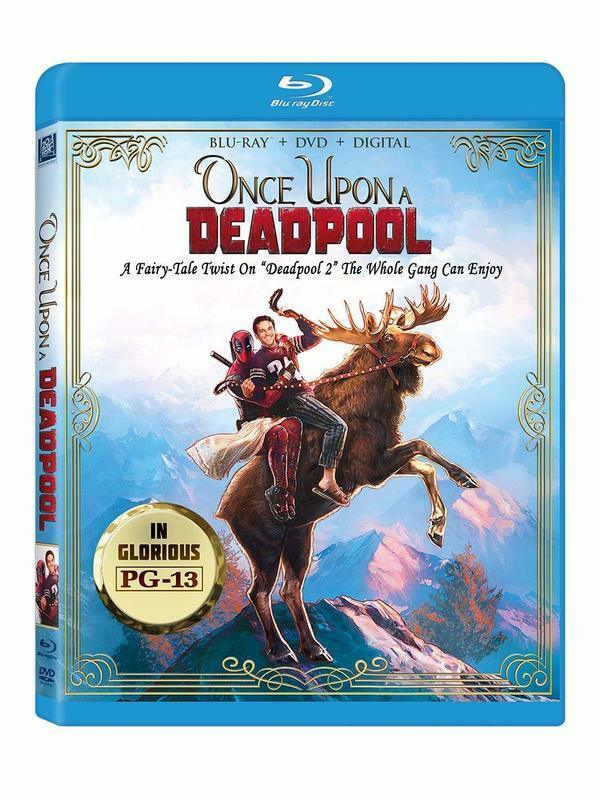 It's the kind of thing that may have made for fun special feature on a Special Edition, but you have to be a diehard Deadpool fan to add this one to your collection.